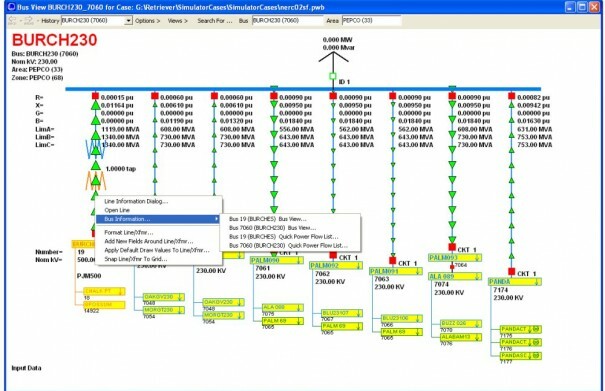 Automatically generated Bus View and Substation View Diagrams provide instant access to information with the click of a mouse. Bus View Diagrams show all generation, loads, shunts, transmission lines, transformers, and branch terminal buses connected to the selected bus. 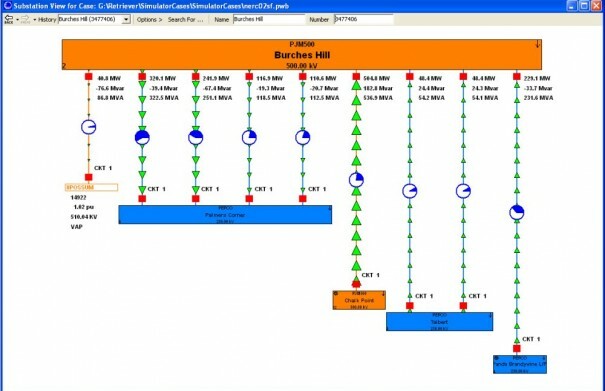 Substation View Diagrams show information similar to Bus Views, but at a substation level. 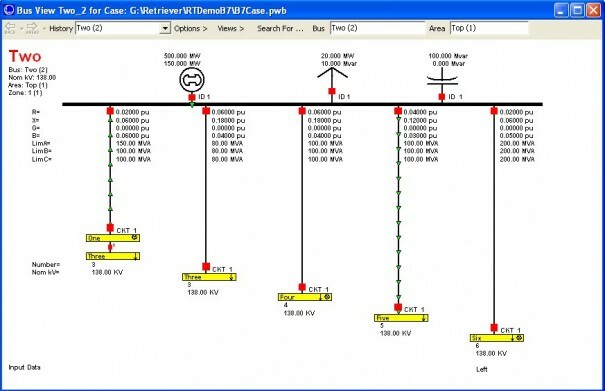 Users can click on other buses/substations in a Bus View or Substation View diagram to shift the focus of the diagram to that element. Clicking on any other system object in a Bus View or Sub View diagram (such as a branch, generator or load) allows you to open an information dialog for the object. Bus View Diagrams can be configured to show either one or two tiers of connected buses. Note the local menu options available when the user right-clicks on a branch.